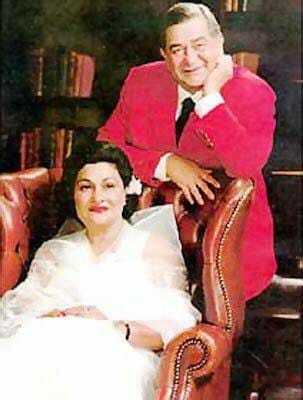 It’s been a few days since Mrs. Krishna Raj Kapoor left for her heavenly abode. I thought this piece could be the right tribute to her since I truly believe that she was the strength behind the greatest cinema made in India by Raj Kapoor Ji which I even conveyed to their youngest son, Rajiv Kapoor at her prayer ceremony. 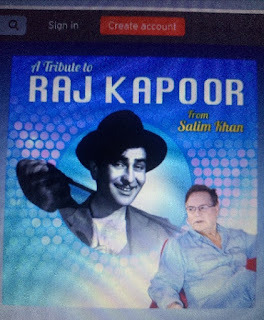 This piece also gives me an opportunity to bring to the attention of readers the implicit, immense and unadulterated respect that Mr. Salim Khan has for the iconic Mr. Raj Kapoor whom he addressed as Raj Saab. His admiration for the legendary filmmaker was expressed through an audio tribute. Another celebrated filmmaker Manoj Kumar Ji endorsed it as one of the greatest tributes to be made by one artiste for another. On hearing it, India’s Pride Lata Mangeshkar Ji’s eyes welled up with emotion. Krishna Raj Kapoor Ji on hearing it marvelled at how Salim Saab had encompassed her husband Raj Saab’s life in a few minutes. The only answer to that is, devotion. Devotion is a form of great strength which is what Salim Saab has for Raj Saab whom he considered an elder to the extent that after Prithviraj Ji’s passing away whose feet Salim Saab used to touch, he continued this tradition by touching Raj Saab’s feet as long as he lived. In this audio tribute Salim Saab said that Lord Krishna had mentioned in the epic Mahabharat that whenever and wherever there shall be a drought of virtue He shall make his presence felt in whichever sphere of life. Salim Saab firmly believes that on 14th December 1924 Lord Krishna was himself born in the form of Raj Kapoor Saab to take the arts to its pinnacle. According to Salim Saab, Raj Saab was the “man of the match” of every film that he made and a complete filmmaker who was far superior to any other because of his understanding of each and every aspect of emotion and film-making, especially romance and music. They shared a special rapport and whenever Salim Saab was a guest at Raj Saab’s get-togethers Raj Saab would always ask him to stay back. After the other guests departed Raj Saab would bond with Salim Saab and share with him experiences of his life which enriched Salim Saab both as a human being and a writer. One such memorable and enriching moment that Salim Saab experienced happened during the premiere of Deewaar where on the completion of the film Raj Saab called him over. 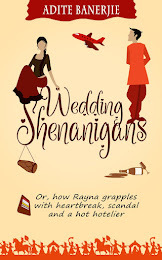 Raj Saab felt that they had made a mistake in the characterisation of Vijay and that even after literally striking gold and amassing money, after going illegal, Vijay should have still been unkempt and attired in his porter’s uniform amidst the high society that he was now a part of. Raj Saab explained to him that whatever Vijay had done was not for himself but for his Mother which is why he shouldn’t have been interested in an appearance overhaul and the presence of a dishevelled man in a neat and clean surrounding would have taken the emotional impact of the character to another level altogether. To date, Salim Saab doffs his hat to this in-depth observation of Raj Saab which underlined the minutest details that only Raj Saab’s cinematic genius could pick up. And then life gave Salim Saab the opportunity to receive the ultimate compliment he could ever get from the ultimate filmmaker Raj Saab. It took place when the latter watched Salim Saab’s first film as an independent writer, Naam. How uncanny it is that Naam shared the same grain of Deewaar, which Raj Saab had made an observation on. But this time, Raj Saab felt Naam was a flawless film and went on to tell Director Mahesh Bhatt that. 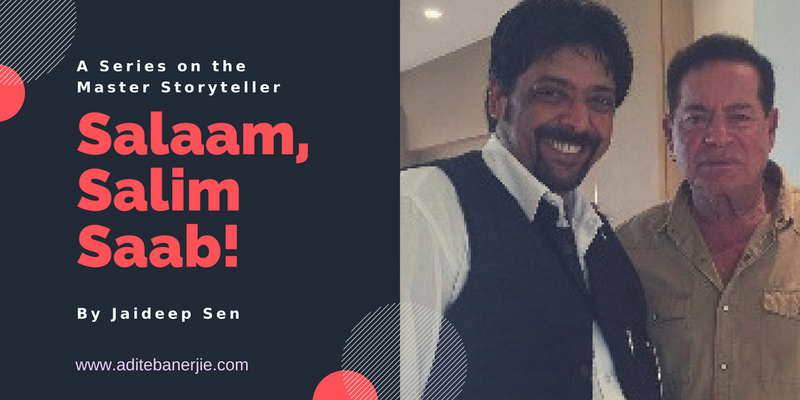 Without taking anything away from his remarkable directorial talent Raj Saab felt that Naam was a film first directed by a “pen”. He turned to Salim Saab and told him that he always believed in his talent and in spite of the rough times that Salim Saab experienced after his separation with his partner, and hearing uncomplimentary theories about Salim Saab’s writing abilities or rather the lack of it, Raj Saab always knew that Salim Saab would rise like a phoenix from the ashes. Salim Saab has the highest respects for Krishna Ji whom he also credits for being the strength in her husband’s celebrated life and journey as India’s greatest fimmaker whose eternal “Raj” of brilliance shall always shine the brightest. Well, Quality is unequaled standard dimension so you should keep administer it and essayontime giving helpful information to all understudies to enhance composing capacity and offer your best information on making a composition to manage your task. Keep it up!